Once confined to the desert, and wild west movies, these prickly plants are ideal for those of us who like very low maintenance house plants! With their unusual shapes and pretty flowers these succulents will add interest to any home. 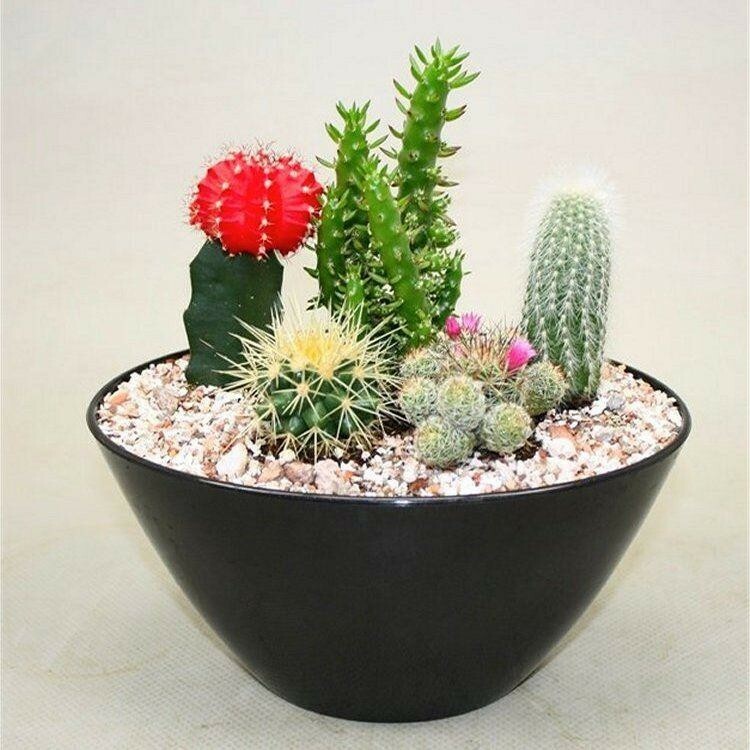 Colourful all year round, this cactus arrangement forms the perfect gift, as if the recipient is less green-fingered and forgets to water them, they will be just fine. This arrangement is very unusual and decorative, and so easy to care for, kids love them too, just watch out for the prickles! These cacti would look stunning virtually anywhere. They are a trendy plant that will be loved by young or old alike, at home on a windowsil, coffee table, mantle piece or even an office desk. Specially selected in complementary and contrasting varieties, and planted in to a stylish elliptical gloss black planter - completely sealed, so there are no worries about any moisture running through and damaging furniture when you do water. Water sparingly when the compost dries out.... if you forget, don't worry, this is one plant that will survive!! 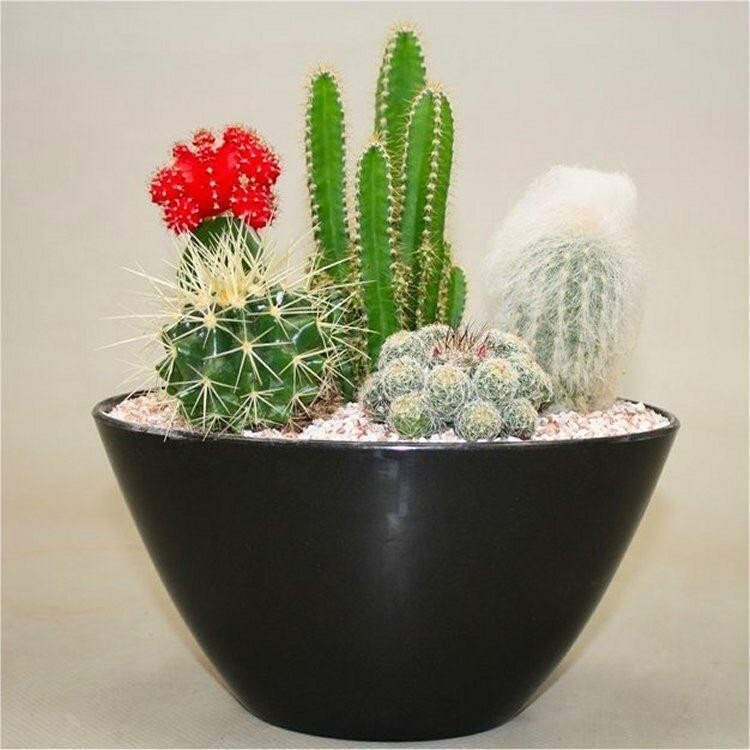 Supplied in an attractive high gloss contemporary elliptical planter, selection of five assorted cacti varieties as pictured, and topped off with gravel. Carefully packaged and delivered by courier to your door, this would make an ideal gift for any one.